Carpet Knights fully trained and experienced technicians have been cleaning carpets in and around Cornwall since 2004. Using some of the best products and equipment available Carpet Knights will re-vitalise your carpets, removing deep down soiling and adding years to the life of your carpets. Upholstery, although not walked on can also suffer over time in the workplace or at home. 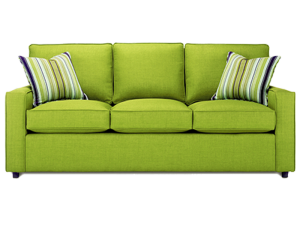 Dirty clothing, oily skin, food and drink and pets can all contribute to the soiling of upholstery. Using specially designed tools, training and experience, Carpet Knights technicians can remove this soiling helping your upholstery to look good and last longer. Trained by the leading rug cleaners in the world, Carpet Knights are able to use specialist techniques to clean your precious rugs. We can collect your rugs from your home or place of work and take them to our rug cleaning facility for a real deep intensive clean. We will then dry your rugs and return them to you wrapped and ready to lay back down. Using specialist techniques and products, Carpet Knights can remove most stains from your carpets, upholstery and rugs. Why not ask Carpet Knights to apply their stain guard product to your carpets, upholstery and rugs. leaving an invisible barrier against spillages, our stain guard will help you maintain the good looks of your items. Carpet Knights are able to remove odours from a room by using our ozone generator which will deodorise and disinfect as it is working using nothing but oxygen. After years of having my Persian rugs cleaned by so called experts in London at huge expense, I am now living in Cornwall busier than I’ve ever been and have discovered Carpet Knights. Thank goodness!! I am thrilled to bits with the service, carpets collected and dropped back. When I came to lay them down they have never been so clean. The colours have come up so beautifully. THANK YOU, THANK YOU CARPET KNIGHTS!!! And there was me thinking cream carpets were a bad idea with 2 kids and a dog……..not now that I know Goran and Jason can get them looking like new!! Carpetknights gave an excellent service from start to finish. I am thrilled with how clean my carpets are and would definitely recommend Carpetknights for their friendly and very efficient service. Carpet Knights have been cleaning my carpets for the last six years: first when the property was a B&B and now as a holiday let. From the first call to Sarah to arrange an appointment and be given a quote everything is done in a professional but friendly manner. Goran (and now Jason too) arrive on time, wear shoe covers indoors and just get on with their work. The carpets look like new when cleaned and their use of eco-products is very important to me. And I am delighted with the price too. 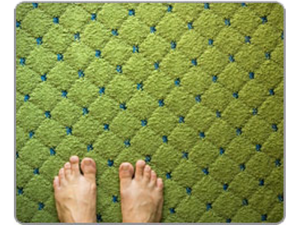 If necessary carpets can be walked on straight away and are dry within a few hours. I wouldn’t think of using anyone else for this work and have recommended CarpetKnights many times to friends and other businesses.